I have mentioned AJ’s Burgers before, but must again… Truly, THE best hamburger in New Rochelle.. I had to have my car checked the other day (another story! ), and so I walked across the road to AJ’s… (it is located across from City Hall and Hamilton Avenue). There are televisions to keep you busy, and more importantly, the food is delicious. Not fatty, just goodness…. 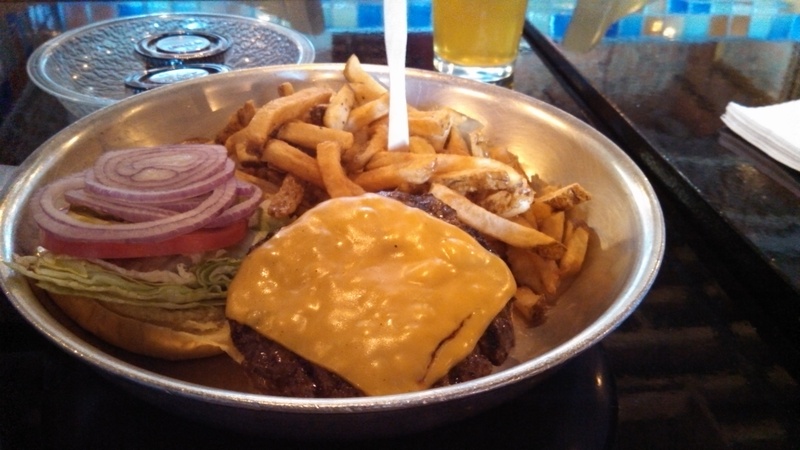 I ordered the lunch special of the cheeseburger with fries… and it was delicious. This entry was posted in Larchmont Area, Mamaroneck 10543 Area Information, New Rochelle Area Information, Relocating to New Rochelle and tagged dining in New Rochelle. Bookmark the permalink.